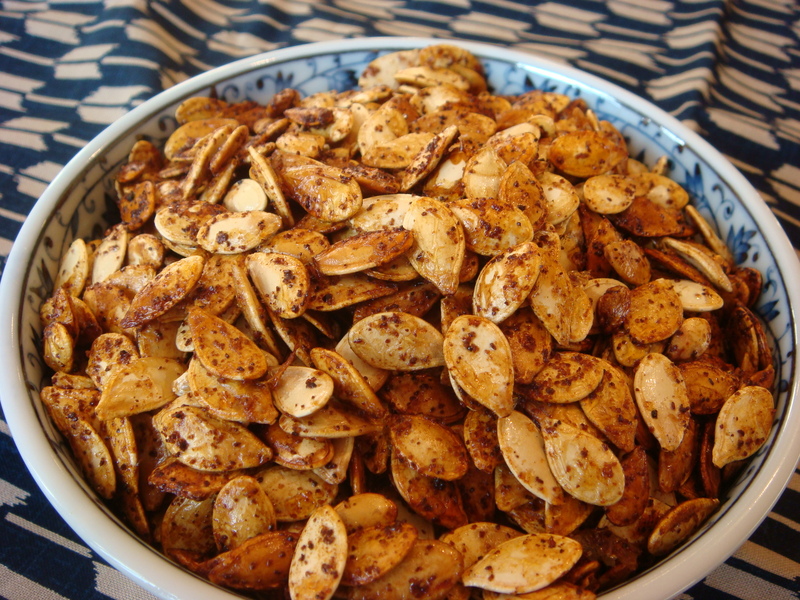 What to do with all of the seeds from your recently carved Jack-o-Lantern or roasted pumpkins and winter squash? Whatever you do, don’t throw them away! Save them for a super delicious (and nutritious) snack that will keep you out of your kids’ Halloween candy. 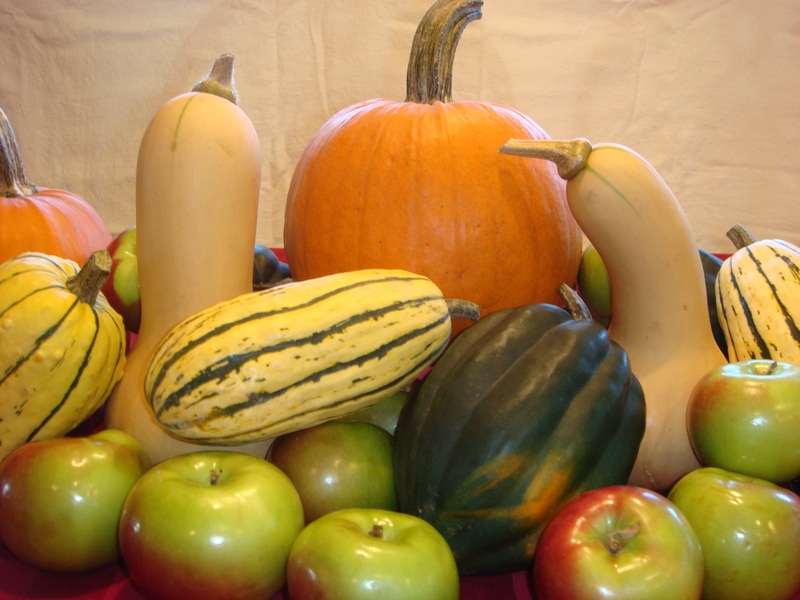 Seeds from any variety of winter squash or pumpkin can be roasted and eaten. 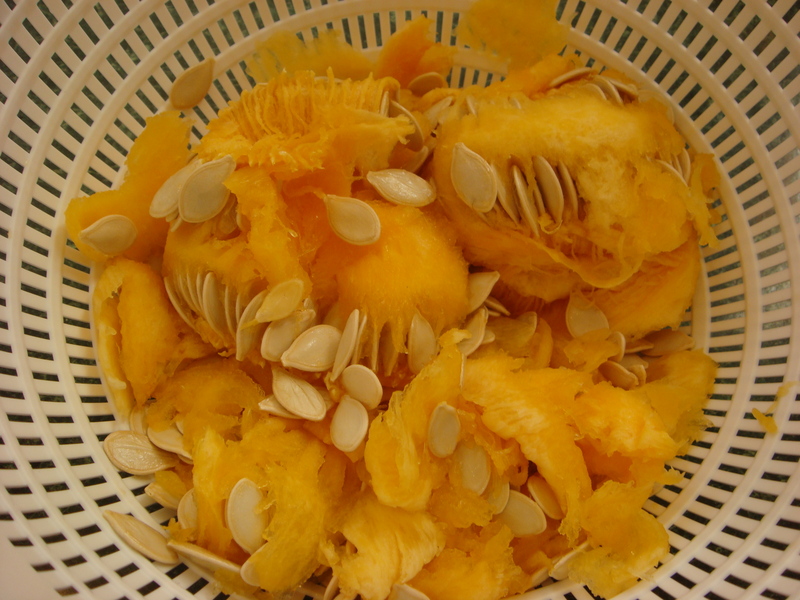 Scrape pumpkin/squash and remove pulp and seeds. Separate seeds from pulp, discarding pulp. Rinse the seeds and pat dry with paper towels or a dishtowel. 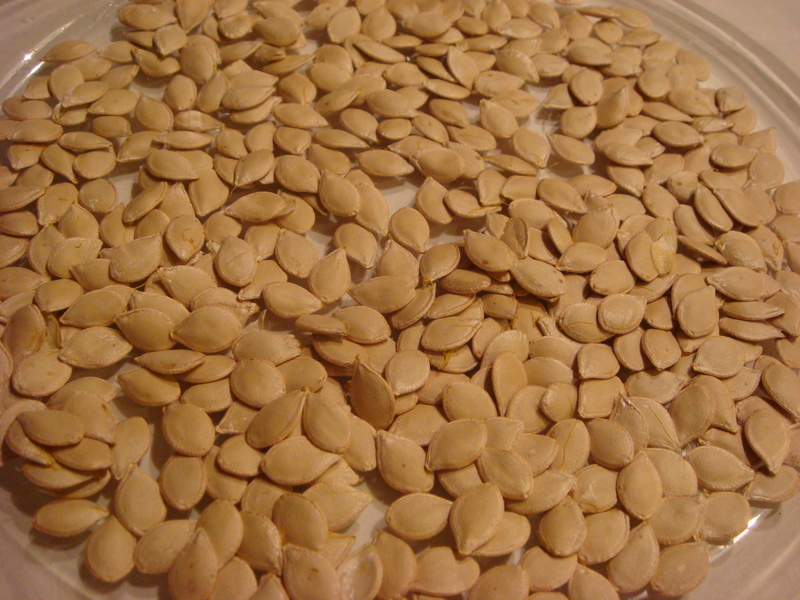 Place the dry seeds in a shallow pie plate or roasting pan. 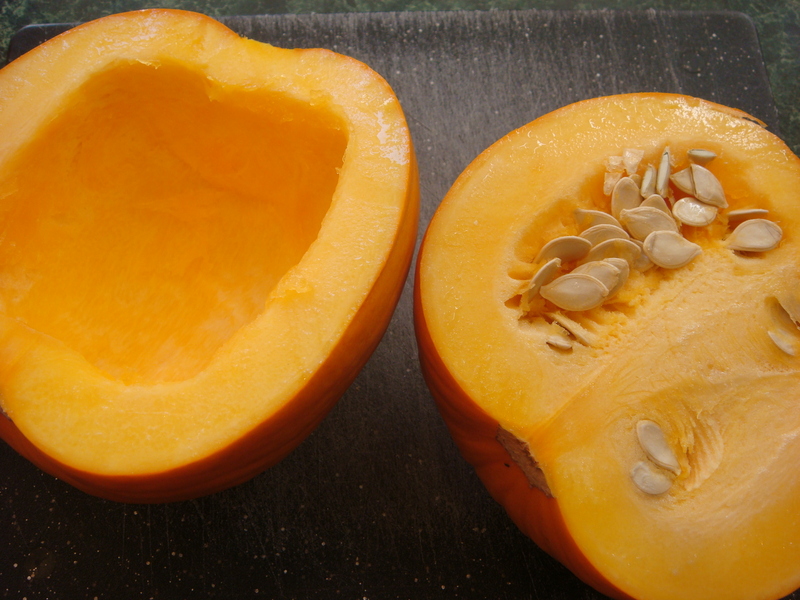 Seeds can be cooked immediately, or allowed to further dry first. Drying the seeds longer will make them less chewy, more crisp. This will help if you tend to get things stuck in your teeth or dental work. 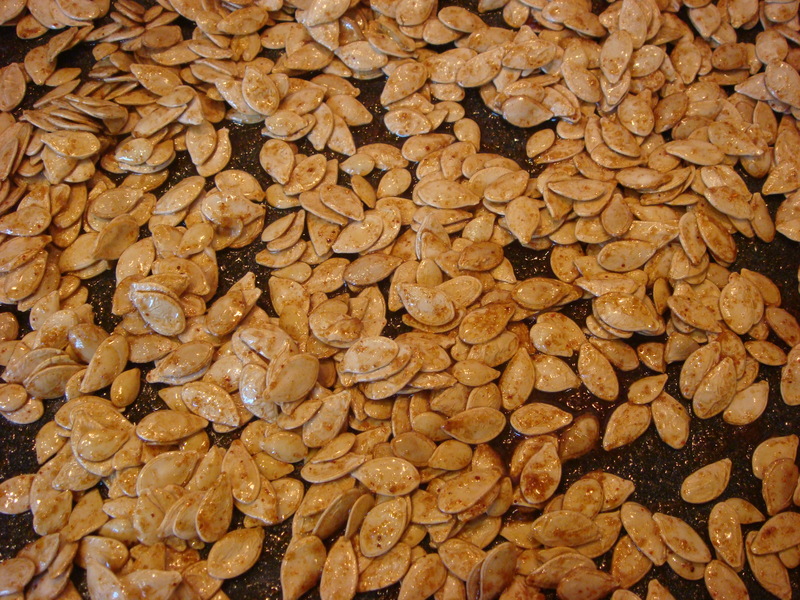 To dry, let seeds air dry in a shallow pan for several hours up to several days, stirring occasionally, to keep them from sticking to one another. 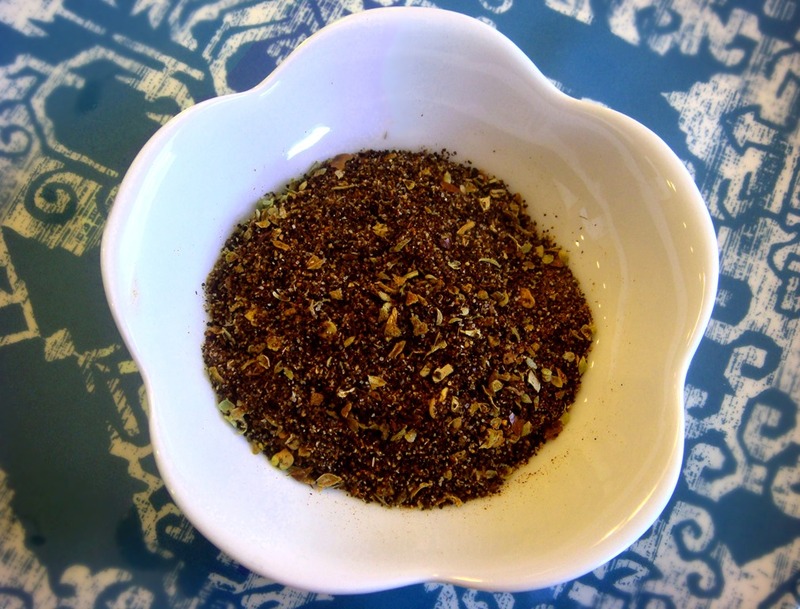 Stir in seasonings and roast seeds until they are a golden brown. Roasted pumpkin, butternut squash and acorn squash seeds. 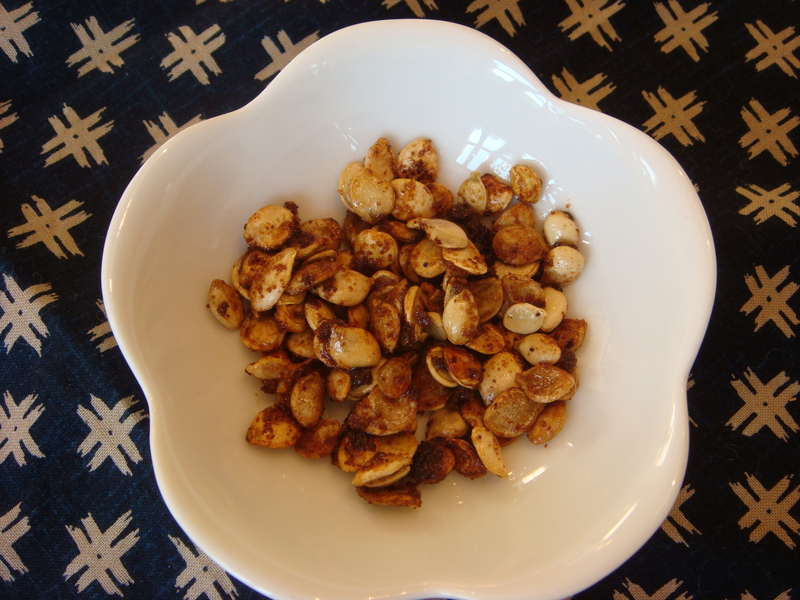 Roasted Delicata squash seeds (small yellow squash with green stripes). 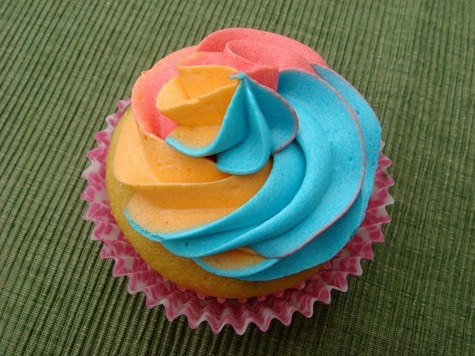 These are especially delicious. Very tender. Place seeds on a foil lined (I like non-stick foil) baking sheets. Preheat oven to 350°F. 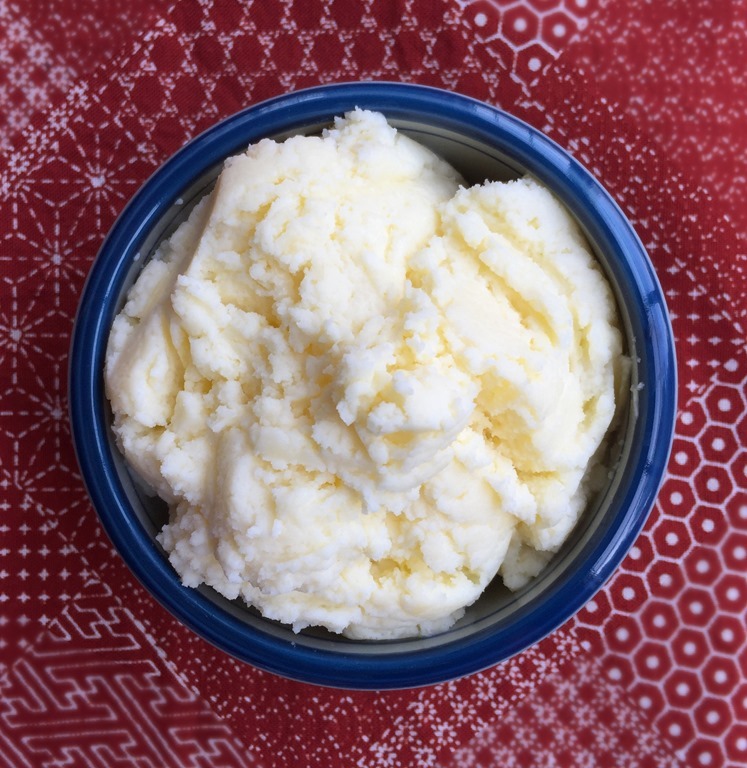 Melt butter and stir in remaining seasonings. Pour over seeds in pan and stir until well coated. Roast for about 15 minutes, stirring every 5 minutes, until seeds are golden brown. Cool completely before storing in an airtight container. “Blind Baking” is a term for baking a pie crust with no filling. This pre-baked crust is used for any pie that is not cooked in the oven with its filling: pies with cream or custard fillings, ice-cream pies, lemon meringue pie, strawberry pie. 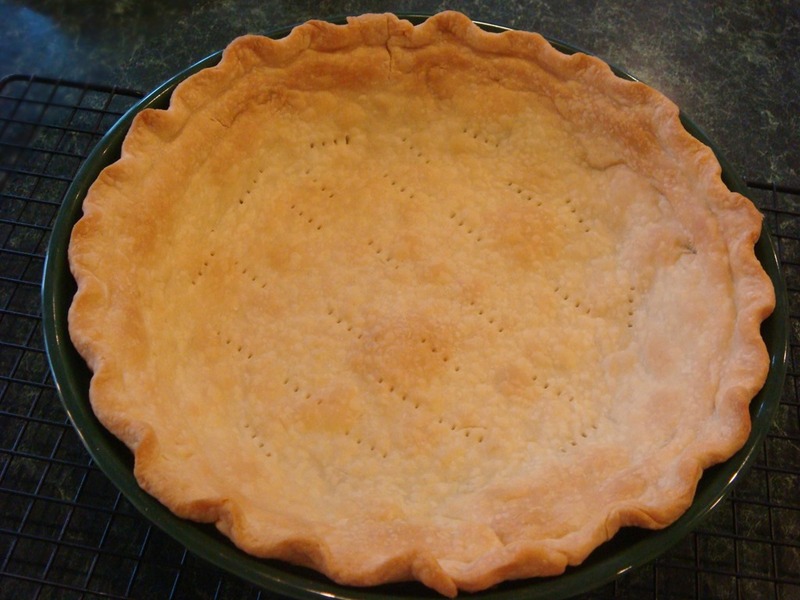 When you bake a pie crust without a filling, it tends to have bubbles form in the bottom part of the crust, or the sides sink and fall into the center of the crust. To keep this from happening, you need to bake the crust in two steps: first with something weighing down the bottom of the crust, and then without the weights to finish cooking the crust. Here is a quick How To… on blind baking a perfect crust. Start with any crust recipe. 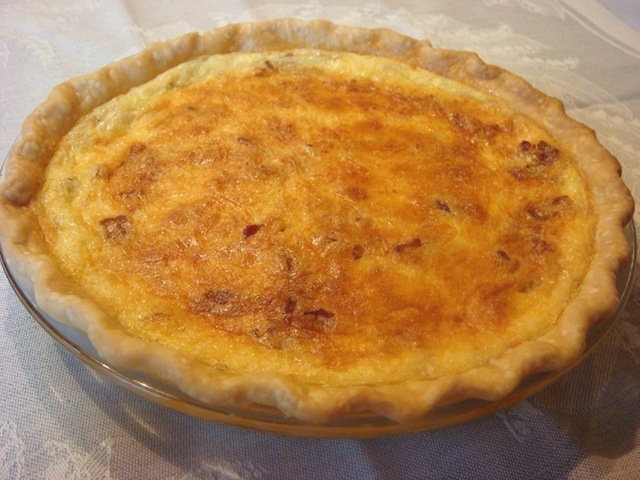 Here is one that I like for an All Butter Pie Crust. Place in your pie plate and flute the edges. When you flute your edges, press down slightly on the indentations where the crust touches the top edge of the pan to keep it from sliding down the sides as it bakes. 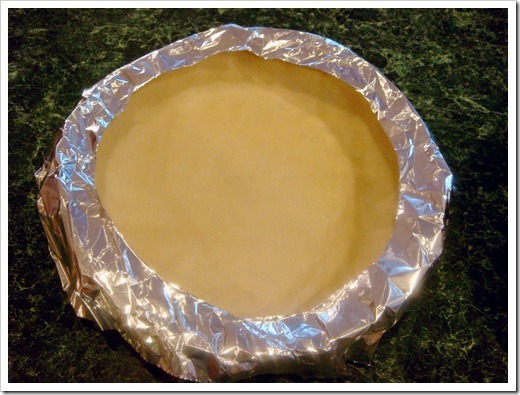 Place a square of foil in the bottom of your crust. I like to use non-stick foil (non-stick side touching the crust) to keep it from sticking to the bottom of the crust. 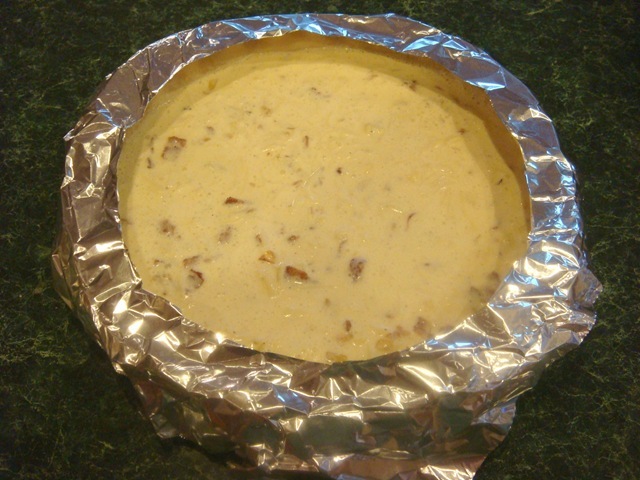 Extend the foil slightly up the sides of the crust, but do not cover the fluting on the edges. Add about 1-2 cups of DRIED beans to your foil bowl. You can also buy pie weights (either loose or on a chain), but beans are a great cheap alternative. Bake the weighted crust at 400°F for 10 minutes. Remove the beans and foil and prick the bottom of the crust with a fork. 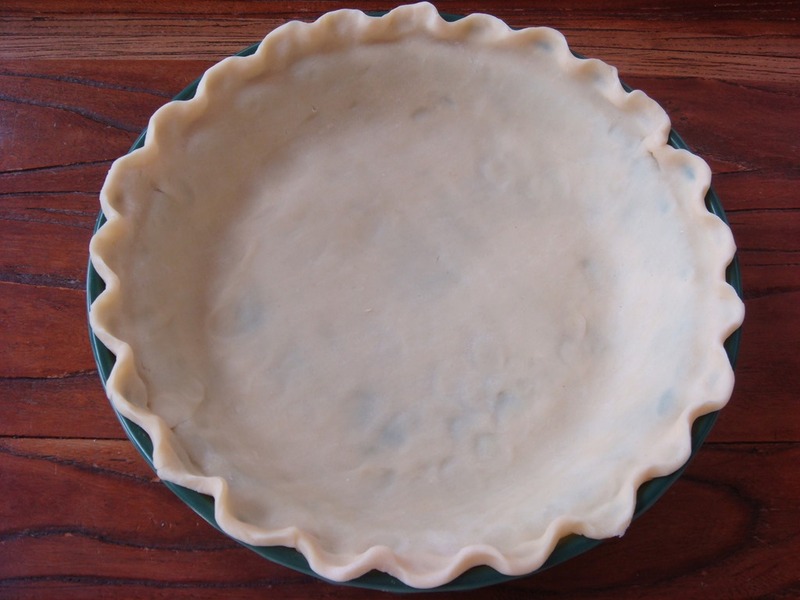 Place a pie crust shield on the edges of your crust to keep them from overcooking while you bake the crust again. You can buy a pie crust shield or make your own. 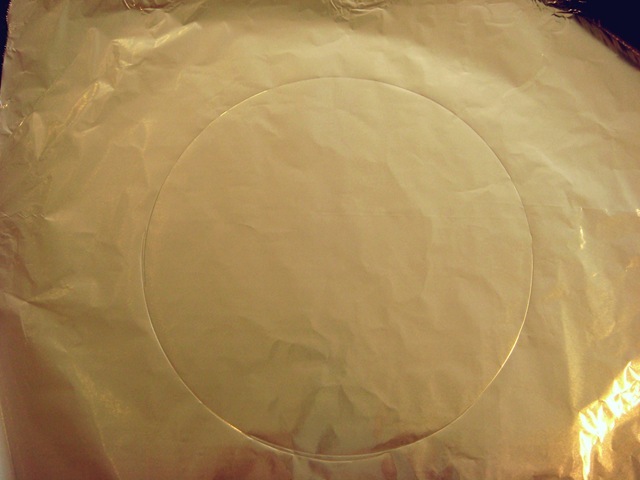 Here is an easy HOW TO on making one that is just the right size for your pie plate: Make Your Own Pie Crust Shield. Bake empty crust for an additional 10 minutes, or until golden brown. Be sure to cool crust completely before filling. 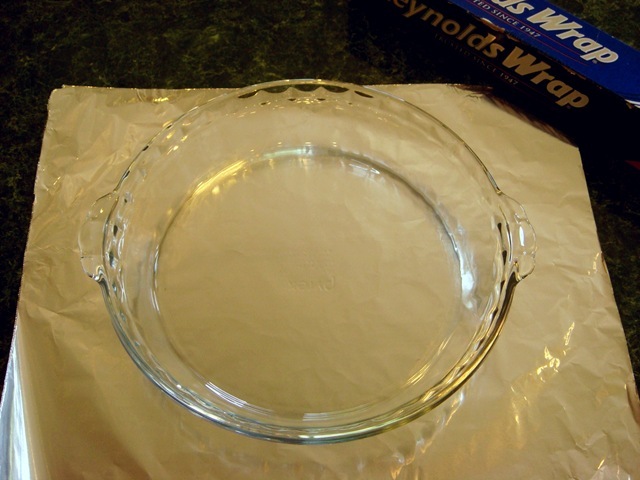 Prepare pie crust and place in pie plate. Flute edges, if desired. 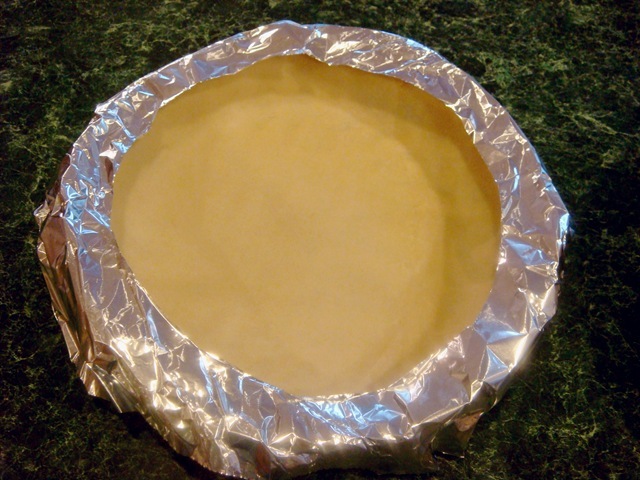 Line bottom of pie crust with foil (I like non-stick foil), extending foil slightly up the sides of the crust. 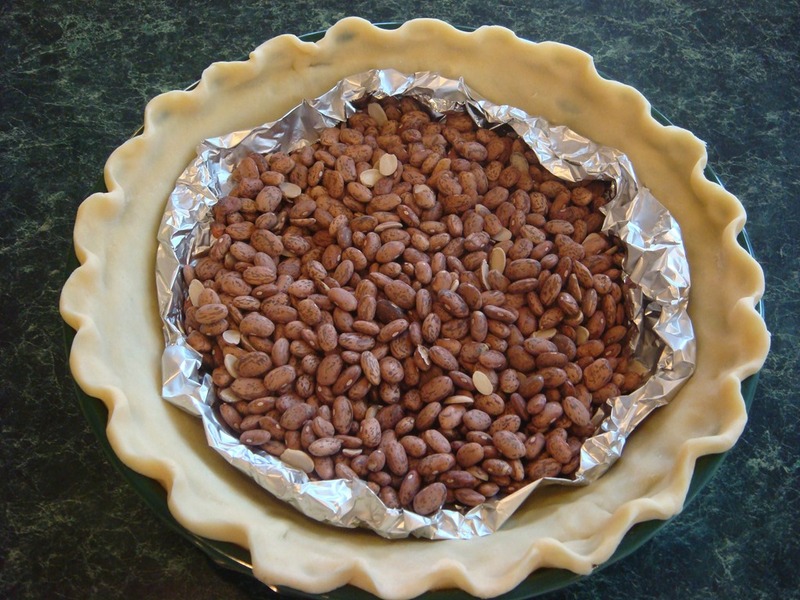 Add 1-2 cups dried beans, or use pie weights. Remove beans or weights and foil. Prick bottom of crust with a fork. 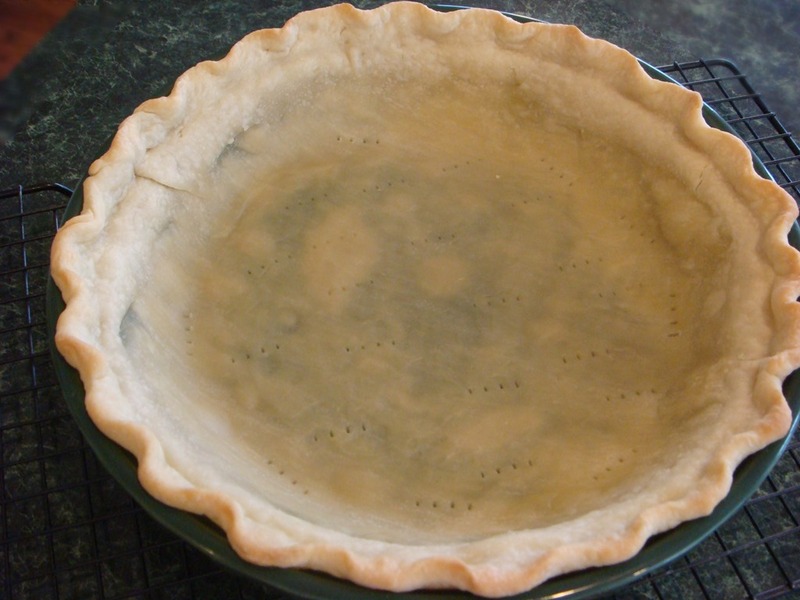 Place a pie crust shield over the edges of the crust and bake for an additional 10 minutes, or until golden brown. Sure, you can eat taco salad on a regular plate, but it is much more fun to eat it out of an edible tortilla bowl. Tortilla bowls are also a great enforcer of portion control. Have you ever noticed that when you layer taco salad on a plate it seems to grow well beyond your original intentions by the time you add all of the toppings you want? Tortilla bowls are the perfect solution, especially for the kids in my family who usually end up with a plateful of food they can never finish. Intimidated by the thought of shaping and deep-frying tortillas? Me too. 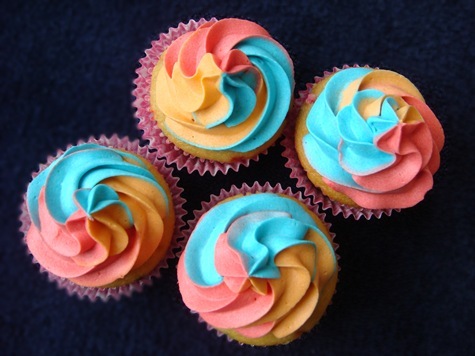 Good thing these are simple to make, and baked instead of fried. All you need is a super-old-scratched-and-rusty muffin pan. To make your baked tortilla bowls, warm tortillas slightly in the microwave (just enough to soften). Spray both sides of tortillas lightly with olive oil cooking spray (or brush very lightly with oil). Turn a muffin tin upside down. Press tortillas into the spaces between muffin cups. Make sure the bottoms of the tortilla bowls are flat so that they will not wobble when served on a plate. Bake at 400F for 8-10 minutes, or until crunchy and just beginning to brown. You can layer your regular taco salad fillings in the bowl (seasoned ground beef, cheese, lettuce, etc) or try this layered shredded chicken salad. It is similar to some of the semi-fast food Mexican restaurants where you build your own burrito/salad. There are layers of seasoned chili-cilantro rice, black beans, crock-pot cooked shredded chicken, and a cilantro ranch dressing. 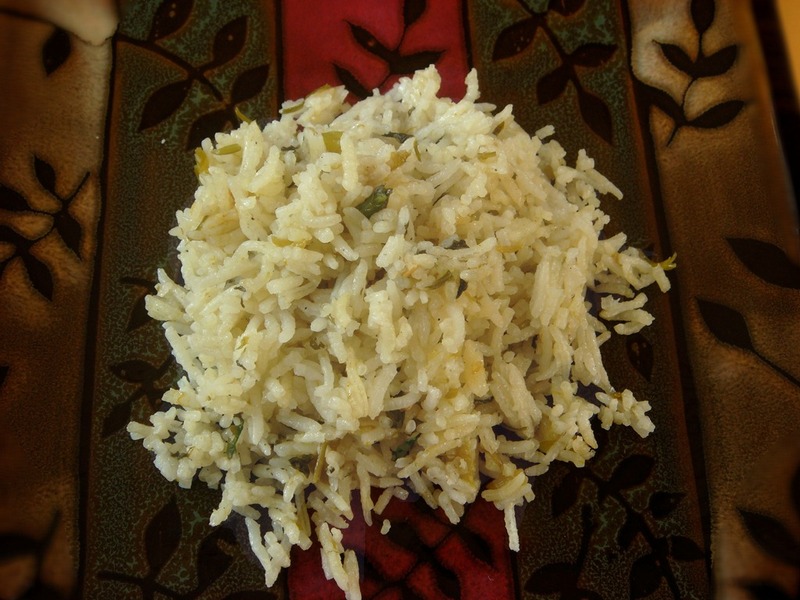 This Green Chili Cilantro Rice is also great served alongside other Mexican dishes or grilled meats. Place baked tortilla bowls on a plate. Layer with rice, black beans (these are really good mixed with 1 Tbs lime juice! 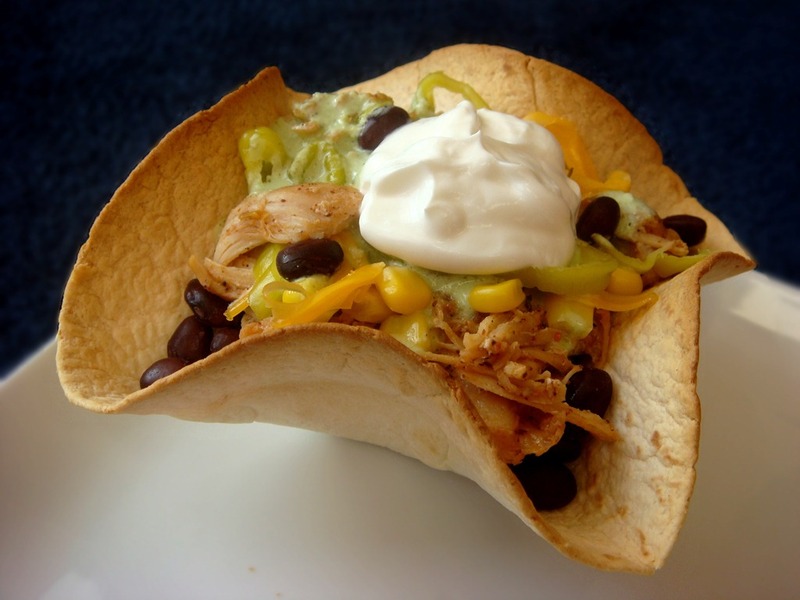 ), shredded chicken and other desired toppings. Top with cilantro ranch dressing and serve. Stir together all ingredients in a crock pot. Cook on low for 6-8 hours, or until chicken can easily be shredded. Shred chicken, stir in sauce from pot and serve. If the sauce is too thin (this will especially happen if you use chicken that is injected with broth), shred chicken and return to crock pot, then cook on high with the lid OFF until sauce thickens. Combine broth, green chilies, garlic, olive oil and salt in a saucepan. Bring to a boil. Stir in rice, cover, and simmer over low heat for 20-25 minutes, or until rice is cooked. Stir in chopped cilantro. 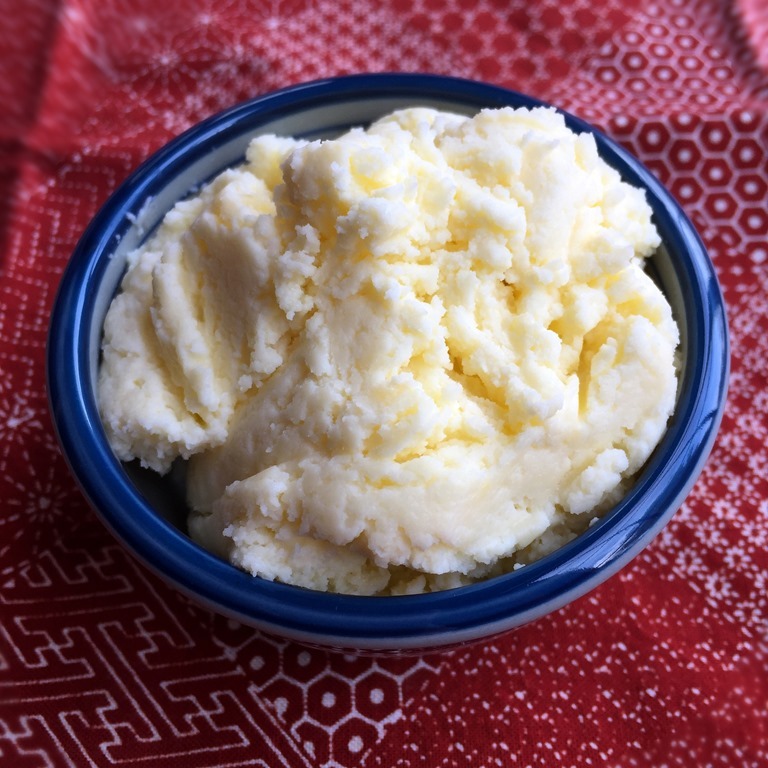 This can also be cooked in a rice cooker: combine all ingredients except cilantro in rice cooker and cook according to directions; stir in cilantro. Warm tortillas slightly in the microwave (10-15 seconds; just enough to soften). Spray both sides of tortillas lightly with olive oil cooking spray (or brush very lightly with oil). Turn a muffin tin upside down. 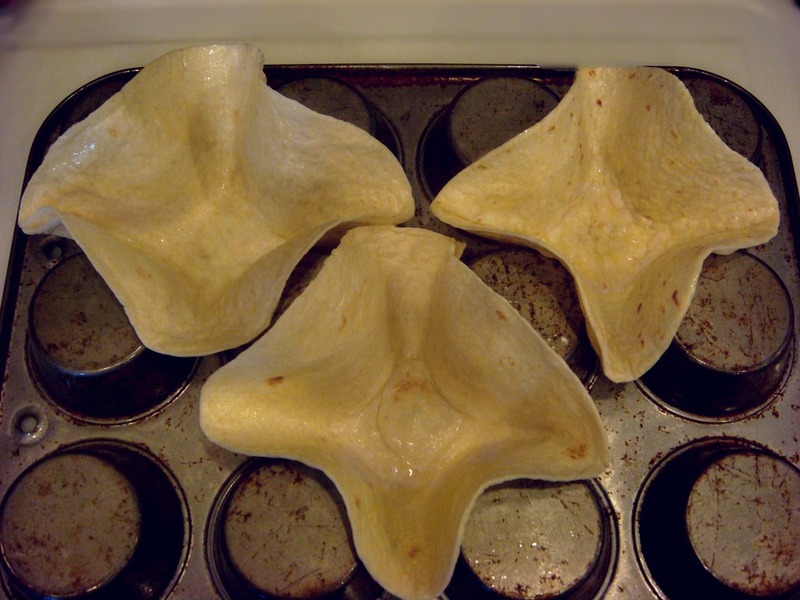 Press tortillas into the spaces between muffin cups. Make sure the bottoms of the tortilla bowls are flat so that they will not wobble when served on a plate. Bake at 400°F for 8-10 minutes, or until crunchy and just beginning to brown. 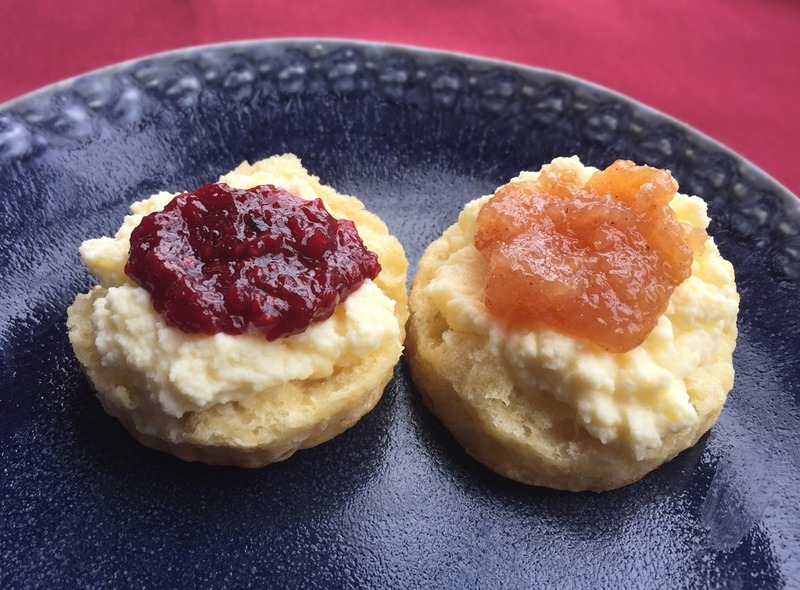 Now that you’ve made all of those Christmas cookies, how do you keep them from going hard and dry before delivering them to all of your friends and neighbors? Refrigerate or freeze uncooked dough. Uncooked dough can be kept in Ziploc bags or wrapped in plastic wrap (especially logs of dough) in the fridge. Take out dough and bake small batches of cookies. Many types of cookies actually taste better after letting the dough sit in the fridge overnight before cooking. For drop cookies, freezing dough is very helpful. 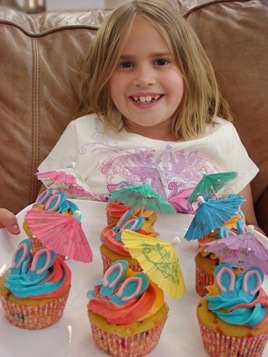 Prepare cookie dough and place scoops of dough on parchment lined baking sheets. 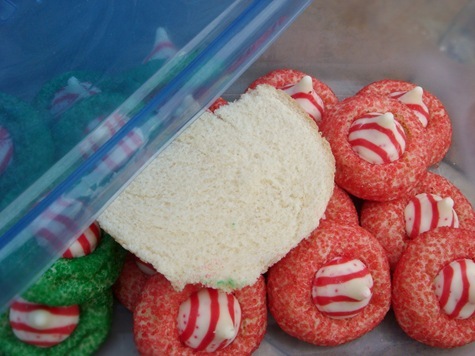 Freeze raw dough until solid, then transfer dough balls to Ziploc bags. Pull out just as many cookies as you want to bake. 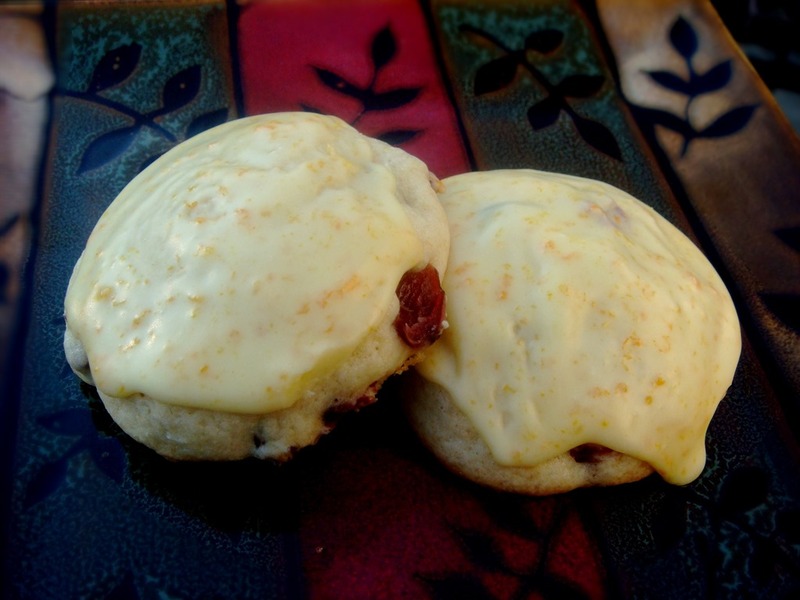 Refrigerate or freeze cooked cookies. 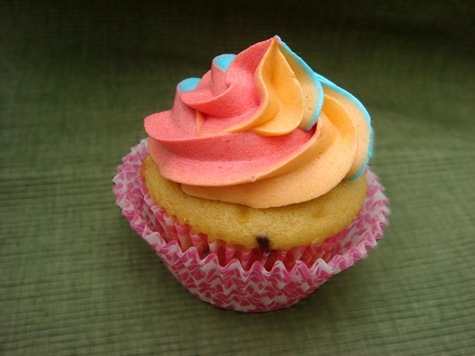 Baked cookies will also stay fresh longer if stored in the refrigerator or freezer. Store cookies in Ziploc bags or seal-able containers and freeze or refrigerate until ready to serve. Be sure to keep different kinds of cookies in different containers. Mint and gingerbread cookies do not go well together! To store cookies at room temperature: You can still keep cookies fresh without freezing all of them. Use containers that are as air-tight as you can find. 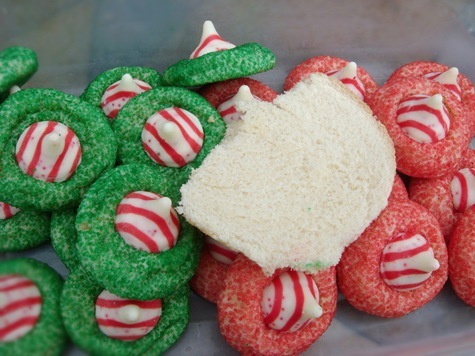 Place a small piece of BREAD in the container with the cookies. The bread will lose its moisture more quickly than the cookies, allowing the cookies to stay soft longer than they normally would. Replace the bread with a fresh piece as it dries out. This will not keep cookies soft indefinitely, but it will extend their shelf life to more than a week. Just a note of warning: if you put bread in your cookie jar, every time your kids open the jar, they will ask, “How come there’s bread in the cookies?” Some may even choose to eat the bread over the cookies, which will prompt you to ask (when you go to sneak another cookie for yourself get a cookie for a starving child), “What happened to the bread I put in the cookie jar?” No one, of course, will admit to eating the mysteriously disappeared stale bread. P.S. This also works to keep your brown sugar soft. The bread will last much longer in your canister of brown sugar than in the cookie containers. Maybe because it doesn’t get opened quite as many times throughout the day!